The Grade 1 Whitney will go as Race 9 on Saturday at Saratoga, and to call it the race of the year, so far, is not to overstate things. This race, with a field of 10 entered, and a fast pace on tap according to the TimeformUS Pace Projector, is going to be a war from start to finish. 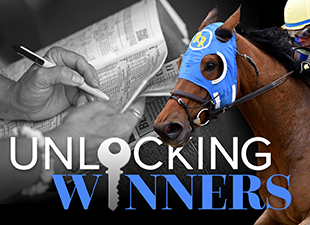 There are seven prior Grade 1 winners entered, and six runners in the field of ten will be entering on the back of a TFUS Speed Figure that either marks, or equals, a career top. According to our Pace Projector, #4 Liam's Map possesses the most early speed in this field. He caught something of a break when his trainer, Todd Pletcher, announced that he will likely scratch his other entrant, #8 Coach Inge, which takes some speed out of the race. Liam's Map certainly has the talent to be considered a major player in a race like this one, and he has the speed figures to back him up (122 two starts back, 119 for a facile win last time). The questions for him are: Distance (he has never been 9 furlongs); class (he has never run in a graded stakes race of any kind); and seasoning (with just five career starts behind him--four of them wins--he is, by far, the most lightly raced horse in this field). #3 Noble Bird is a handy horse, and he projects to be up close to the early pace in this race. Just now finding himself, he has seemingly broken through out of nowhere to become one of the top handicap horses in training. He has earned back-to-back TFUS Speed Figure tops on the way in to the Whitney, including a 123 when racking up a Grade 1 win in the Stephen Foster Handicap in June. Noble Bird has a tendency to make things close at the end, but he is a rare dirt router who possesses the devastating combination of handy speed and quick acceleration, which allows him to seize command at any point in a race. #5 Moreno is the defending Whitney champ, and he remains, in our eyes, one of the most underrated top horses in the game. He loves this track, cuts back to his best distance, and can race effectively from either on or near the early lead. 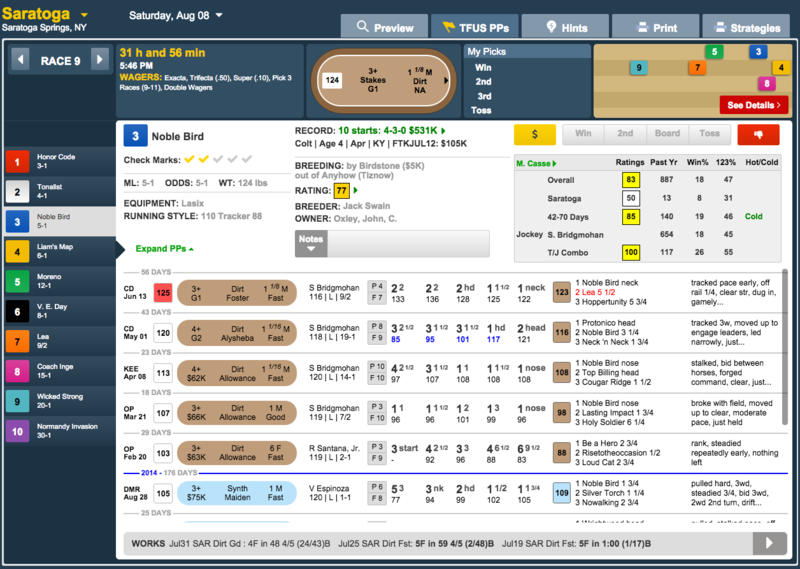 We think this is a tougher field than the one he defeated last year, where Palace Malice was a no-show, and from which Will Take Charge never raced again, but underestimating this horse has a way of costing you in the end. #7 Lea projects to be closely following Moreno from just off the pace, and, like the horse who defeated him in the Stephen Foster, we think he is going to be a major factor in this race. Lea could easily have won each of his last two Grade 1 dirt starts in this country, and he also ran very well in the Dubai World Cup between those two races. 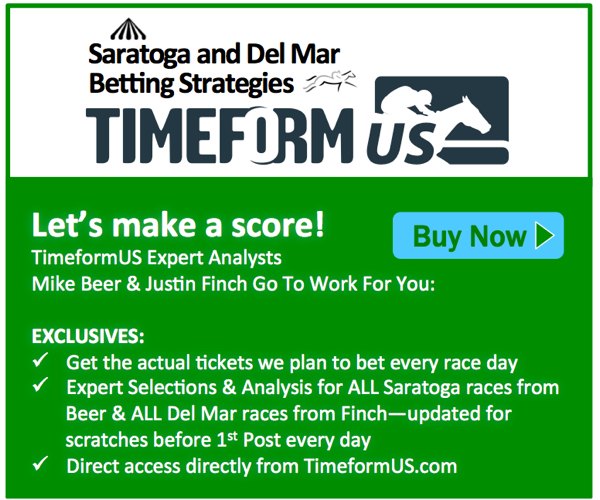 He earned TFUS Speed Figures of 124 in both the Donn and the Foster, and he can get any kind of trip in a race, but is likely to be a shorter price on Saturday than the horse who defeated him last time. #9 Wicked Strong is looking to get himself back on track, as he has yet to improve much upon the 120 TFUS Speed Figure he earned in his bang-up 2nd in the Travers here last summer. That is a tall order coming in a race like this one. He has been a bit disappointing so far this year, but he is not going to mind having some pace to close into, and his trainer, Jimmy Jerkens, gets a perfect 100 rating switching from turf to dirt. Jerkens' other horse, #6 V. E. Day, is a deep closer who made one run from the clouds to post an upset in a fast-paced Travers here last year. He is 2-for-2 over this track, both of those races featuring competitive paces, which flattered his running style, but he projects to have a similar setup on Saturday, and he has come back an improved horse at 4. #10 is Normandy Invasion. To give an idea as to just how tough this race is, the horse who arguably ran the best race in the 2013 Kentucky Derby is the longest shot on the board. Things clearly haven't panned out for this horse, but the talent was once there for him to be a major player in this division, and his trainer is always dangerous in races like this. The two favorites in the Whitney field are #1 Honor Code and #2 Tonalist, and they project to be lagging near the back of the field early. Honor Code possesses a devastating late kick, which he put on full display in the Met Mile last time while earning a new career top figure of 124. Question is whether he can be as effective going longer around two turns, but he has handled it before, and he has the kind of talent that cannot be easily dismissed. Tonalist did not get the greatest ride in the world when just missing last time, but he put up another new top TFUS Speed Figure there (126). He, so far, has done his best work at Belmont Park, but we have no problem thinking that he can be effective anywhere, and his best effort makes him the horse to beat. The Play: We will side with the two exiting the Stephen Foster, and give preference to Noble Bird, as he seems likely to be the better price. Tonalist and Wicked Strong will also be part of our play, with Honor Code used only defensively.